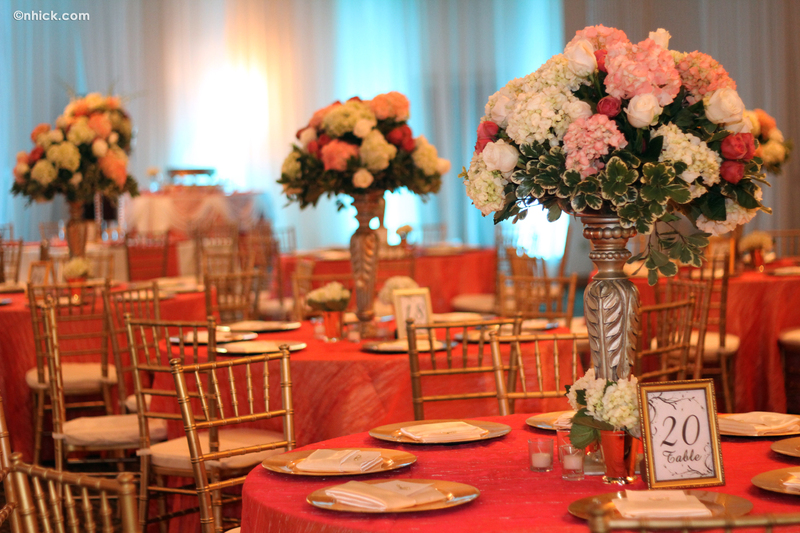 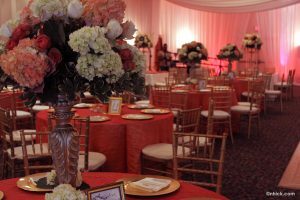 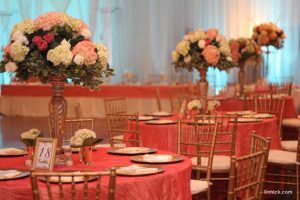 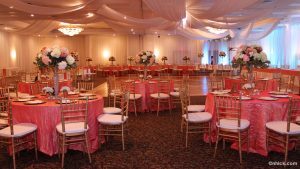 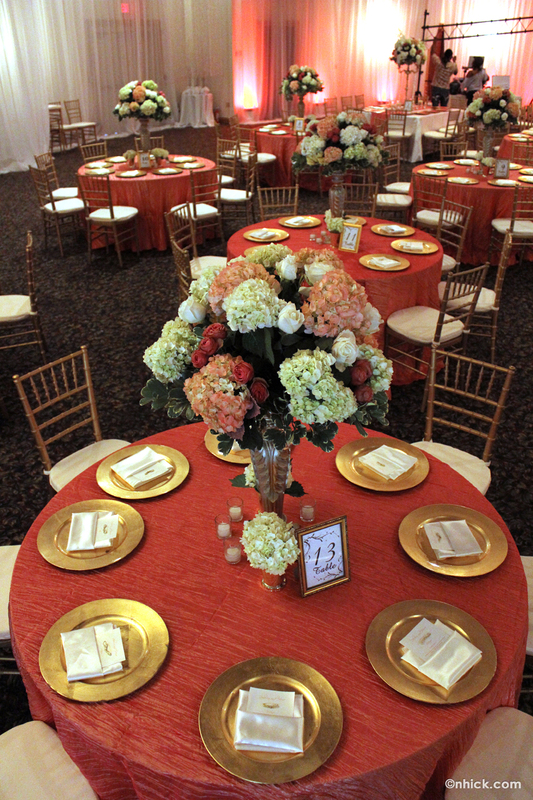 Nothing beats this setup for an event hall in Tampa with a classy old rose theme! 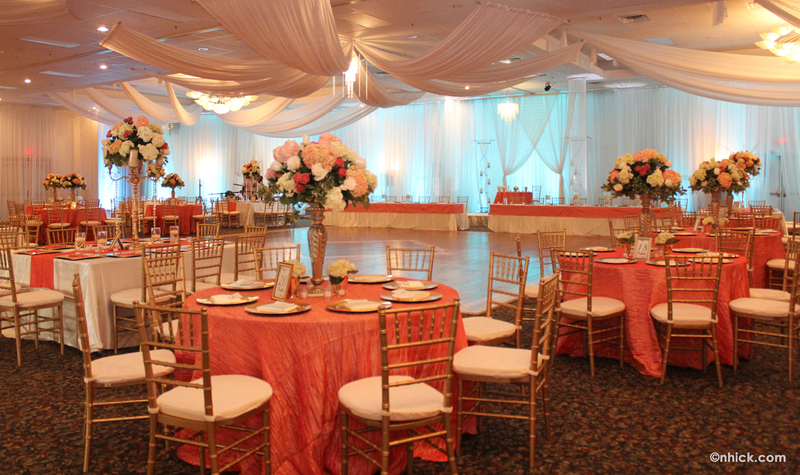 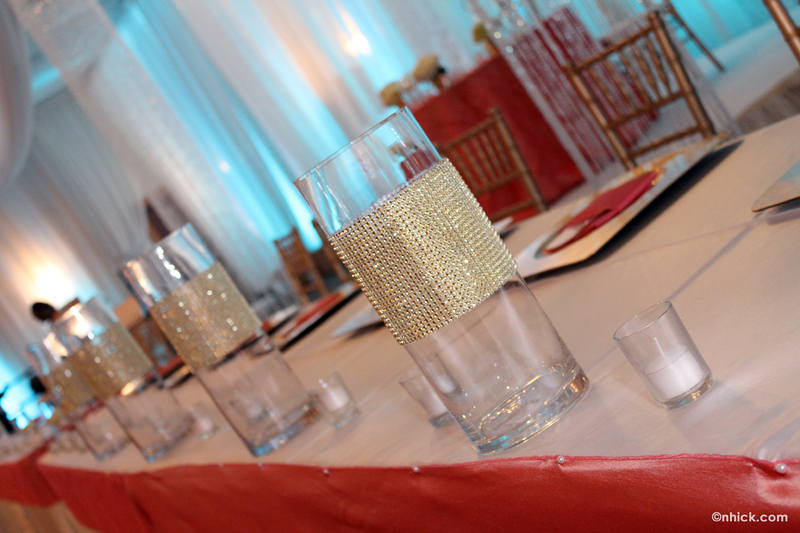 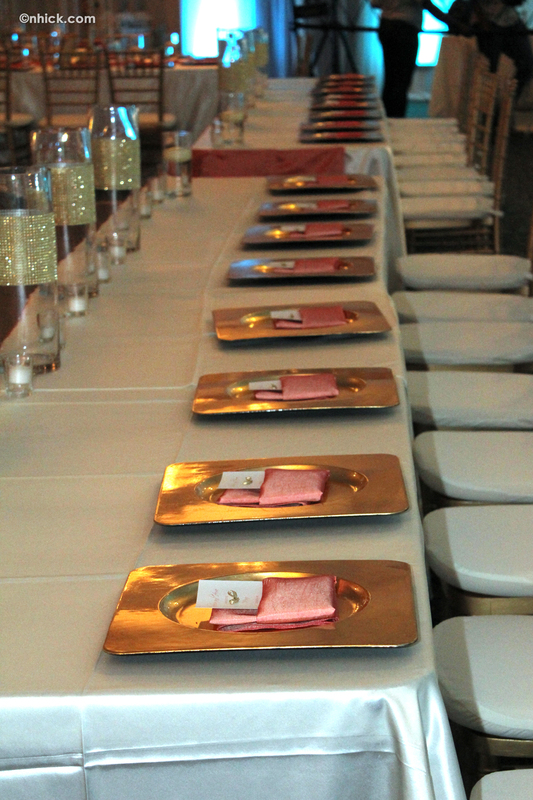 This setup at the Bayanihan Arts and Events Center was for a wedding reception in June of 2012. 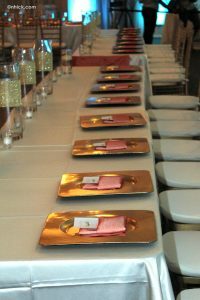 The old rose theme is make use old rose table linens accented with brass and gold chiavari chairs, candle and plate holders. The theme is also accented with flower center pieces with the same color scheme. 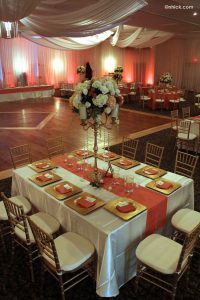 The overall color palette is complemented by the Bayanihan Arts and Events Center’s draped walls with LED lighting. 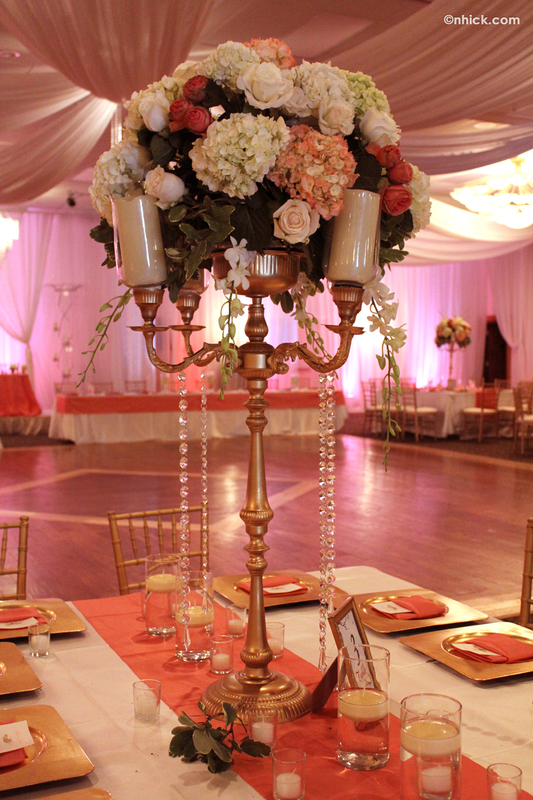 Lighting is also enhanced with the hall’s four large capiz chandeliers imported all the way from the Philippines. 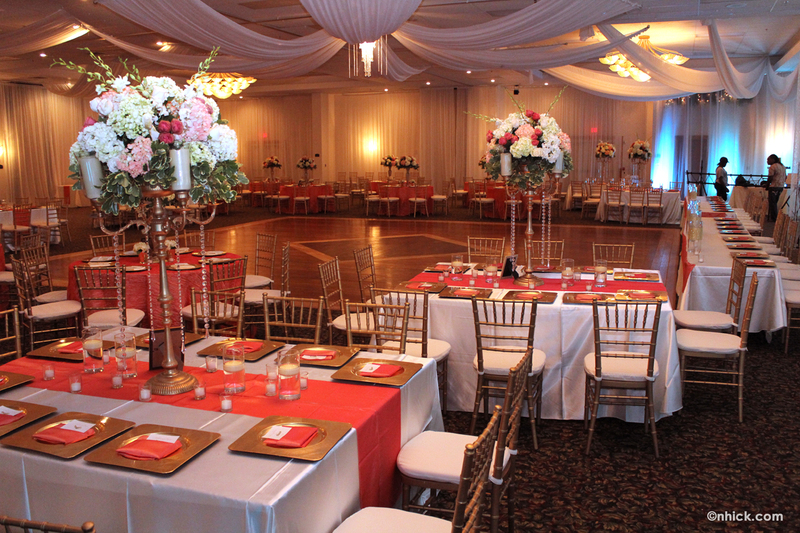 The overall effect of the hall setup makes for a very classy event hall in Tampa indeed! The Bayanihan Arts and Events Center, owned and operated by Philippine Cultural Foundation, Inc., is centrally located in the Tampa Bay Area. 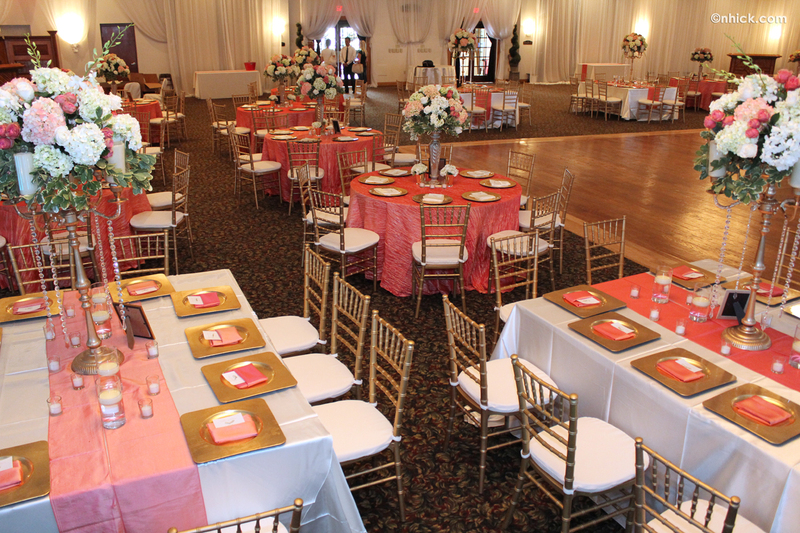 Built in 2001, the Center is being used by the Foundation’s cultural events and functions. If you need more information about the Bayanihan Arts and Events Center and the Philippine Cultural Foundation, Inc., visit us at 14301 Nine Eagles Drive, give us a call at (813) 925-1232 or visit us online at www.bayanihanartscenter.org. 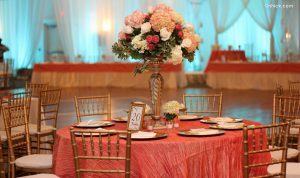 The Center is open from Tuesday to Saturday stating at 10:00 in the morning.